Dr. Suhel Ahmed graduated from Hunter College in CUNY, Medical school at Ross University, and did his residency in Rutgers school of medicine in internal medicine. 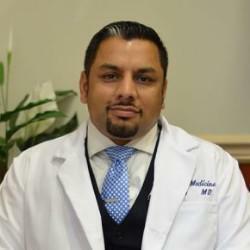 He received extensive training in obesity medicine through the American Society of bariatric physicians. The ASBP is dedicated to training physicians in the art and science of weight loss and helping patients achieve optimal health through weight loss.